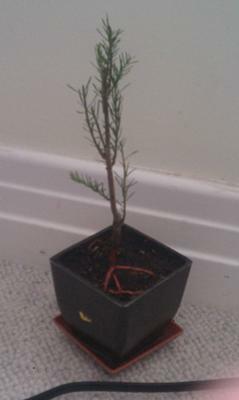 This is my first ever tree! 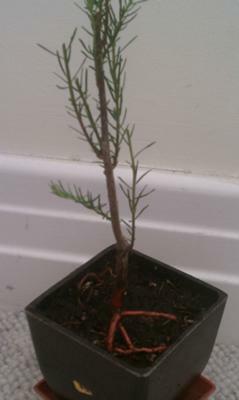 I bought it from Sloat garden store in their bonsai section (it's a Bald Cypress). It seemed great at the store but after looking to some of your bonsais it seems to be a little scrawny. I did some trimming and then I dug up and exposed some of the roots. 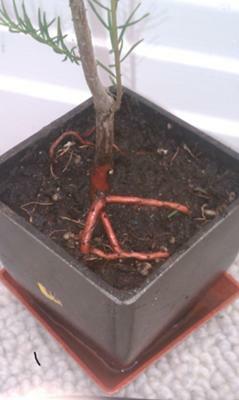 I'm focusing on keeping the roots moist since they seem vulnerable since they have no bark. I have a very large open room on the top story of my house with a ton of life from the West. 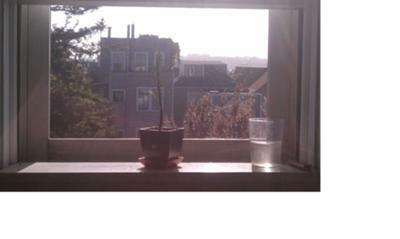 Its kinda windy but im letting the plant sit on the window sill with the window fully open but the bug screen closed. Any advice? Did I mutilate it with my beginners trimming? Is it not a good idea to expose the roots?